Ivinson Autos is your #1 choice for repairs and car servicing in York. 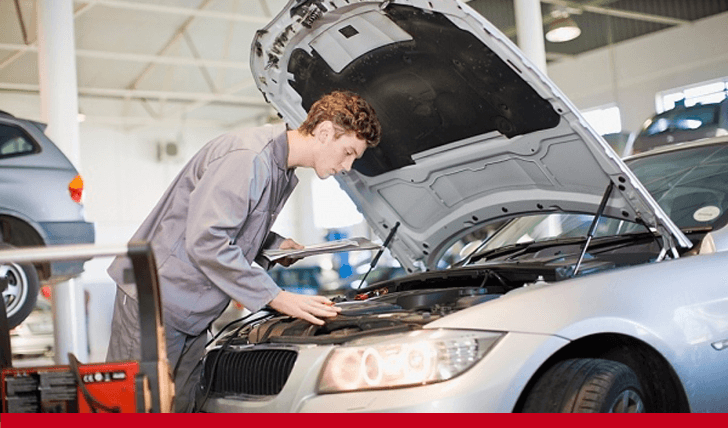 Our dedicated team of professionals implement the latest technologies combined with traditional know-how to provide a comprehensive array of services for a wide range of vehicles. From aircon maintenance to wheel alignment, we’ve got your auto’s health covered, with a fully insured, guaranteed-to-succeed service. Besides carrying out essential mechanical repairs, we also provide a number of services designed to identify and rectify faults and safety risks, and to get the best possible overall performance out of your engine. Consider an Ivinson Autos tune-up as your engine’s much needed regular update. We’ll assess and adjust your vehicle’s internal combustion engine and engine control unit (ECU) to improve the engine’s power output, economy and longevity. Our engine remapping service optimises performance through re-programming of the ECU. We utilise cutting-edge engine management technology to provide an auto diagnostics service that can identify issues including sub-system and code-reading faults. Keeping your brakes and clutch in perfect working order is clearly a crucial concern. These components are the parts of the vehicle which are likeliest to require attention on a regular basis, as they’re exposed to the most wear-and-tear. If you’ve noticed any irregularities in the functionality of these components – odd sounds and stickiness in the clutch, or reduced responsiveness in the brakes, perhaps – drop by the Ivinson Autos garage and we’ll get to the bottom of the problem while you wait. We’re fully equipped to carry out repairs, replace faulty parts and ultimately to keep you safe on the road. We provide a full range of gearbox repair services on both manuals and automatics, from minor tweaks to replacements. If you’re hearing that dreaded grinding noise or are struggling to switch gear, drop by our garage for a quick diagnosis and an effective treatment. A perfectly-functioning exhaust is crucially important to securing the safe operation and expected performance of your vehicle. We use our hard-earned directory of established suppliers to acquire the components required to keep our customers’ exhausts in proper working order. Whatever it is that we’re replacing, we’ll get it fitted securely as quickly as possible. Many vehicles retain the same battery for a number of years, but like any other component, batteries do require occasional care. We offer a full range of car battery services and can replace faulty batteries where needed. With two thirds of the vehicles on the world’s production lines now featuring air conditioning units, maintenance of these specialised systems has become one of our key services. Whether it’s a standard gas and lubricant recharge or an urgent fault diagnosis and repair job, we’re your safe bet for car aircon servicing in York. R1234yf is the replacement for R134a in automotive air conditioning. R1234yf is the next generation refrigerant for automotive air conditioning. At Ivinson Autos we have the most uptodate machines and can handle this new gas. With an impressive range of tyre models available for fitting while you wait – many of which are major brands offered at discounted rates - we’re widely considered to be one of the region’s premier tyre fitters. Visit us today for a no-fuss professional fitting at a competitive price. We also provide wheel alignment checks and adjustments to keep your vehicle well and truly on the straight and narrow. According to recent MOT statistics, over 13% of cars are deemed un-roadworthy due to steering and suspension system faults. Dozens of components are involved in these systems, including steering racks, steering boxes, coil springs, leaf springs, shock absorbers, ball joints, bushes and mountings, all of which can require attention from time-to-time. After our diagnostics process pin-points any problem components, our expert team can carry out the procedures needed to get your steering and suspension systems back up to scratch. As well as offering car tuning and servicing, Ivinson Autos of York also carries out all manner of mechanical and cosmetic repairs. We’ll do whatever it takes to get your vehicle back to showroom condition, from amending dents to fixing mechanical faults.